Mall construction update #15: CUPCAKES! This may seem odd, but this is the vendor I've been looking forward to building more than any other, since long before I laid the first brick of this mall. 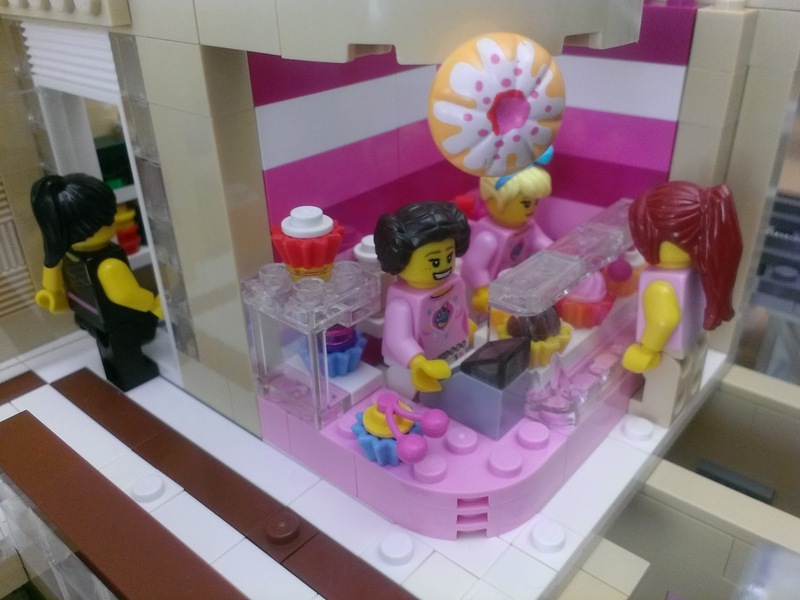 Does anyone remember when I got my first cupcake girl minifig? Not the recent one. I'm talking months & months ago. When I made that order, that is when inspiration for this little thing struck. Repeat-o-disclaimer: Video will be done, when the mall is done. You rock Jang!! Awesome mall and other MOCS!! Are going to do a video review of this? ;) Lol, had to be the first to ask that question! All joking aside, looks good. Amazing... Just, amazing, I envy you SOOOO much right now. SERIOUSLY. I'M A LEGO COLLECTOR MYSELF. I actually thought of making a mall but I just don't have too many pieces you know, other than that, you are a very cool guy with an AMAZING LEGO COLLECTION! where did you get the "cupcake" for the sign?